Texels peaked at 100,000 at the Solway and Tyne breeders’ club show and sale. Sale leader and pre-sale champion, Sportsmans Batman, from Messrs Boden and Davies, Stockport. Sale leader was the pre-sale champion, Sportsmans Batman, from Messrs Boden and Davies, Stockport. The March-2018 born Garngour Alabama son is out of a home-bred dam by Knap Vicious Sid. The buyers were Procters Farm, Lancashire. 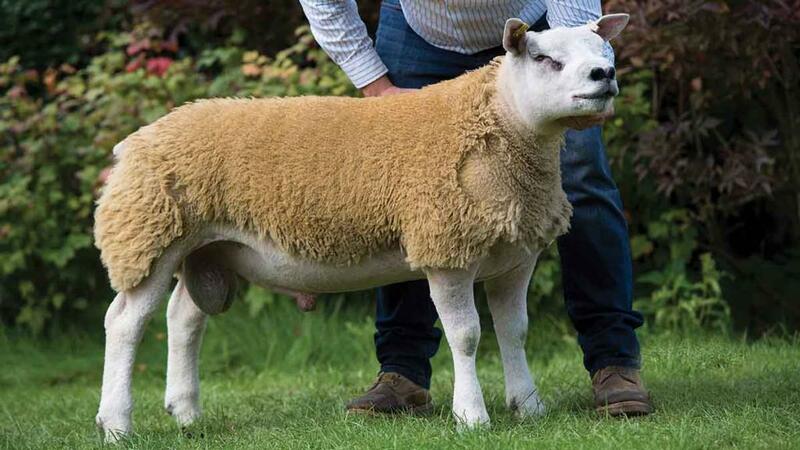 Next at 30,000gns was February-2018 born Claybury Basic Instinct, from Claybury Texels, Shrewsbury. A Strathbogie Youi son, it took second prize recorded ram lamb title and went home with P. and C. Tippets, Shifnal. Next at 24,000gns and having made the journey from Lanarkshire was Clark Farms’ Teiglum Braveheart. Born in March this year, it was sold in a five-part share to Messrs Bennett, Powys; Highfield Farming, Berwickshire; Messrs Barclay, Aberdeenshire; Messrs Teward, Darlington; and Messrs Renwich, Roxburghshire. Claybury Basic Instinct from Claybury Texels, Shrewsbury, which sold for 30,000gns. Leading the females section at 16,000gns was a Baltier shearling from R. and E. Forsyth, Dumfries and Galloway. A Milnbank Womaniser Lym daughter, it went home with Messrs Teward, Darlington. At 6,000gns was an Annan ewe from G.K. Jamieson, Dumfries and Galloway, selling to Messrs Cobbald, Suffolk, followed at 4,500gns by another Baltier ewe from the Fotsyths. It sold to Messrs Pratt, Aberdeenshire. Top price shearling ram at 4,000gns went to Mershott Amazon. Consigned by the Gordon Brooke Estate, Scottish Borders, this Roxburgh Yorkie son sold to Messrs Robinson, Welshpool. 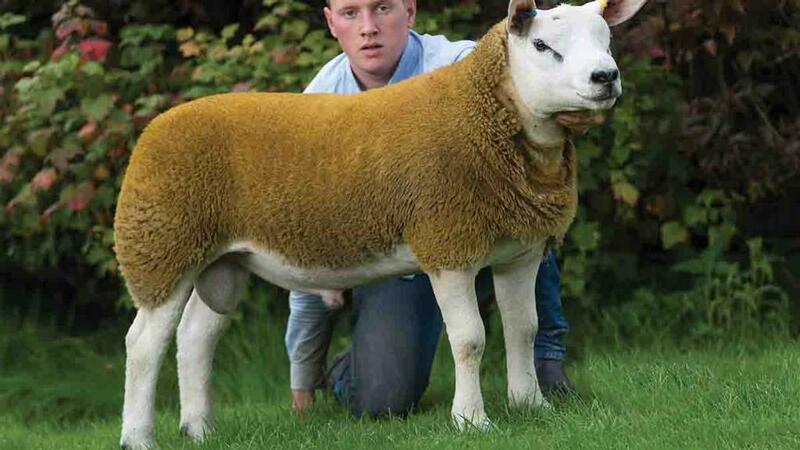 At 3,400gns next was Sportsmans Atomic, a Pant Wolf son which was knocked down to Messrs Jenkinson, Cumbria.